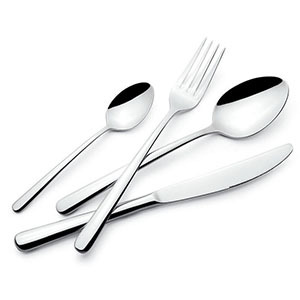 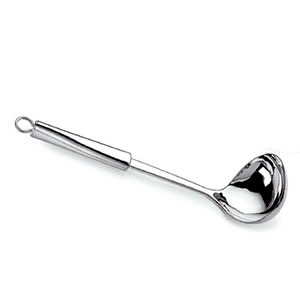 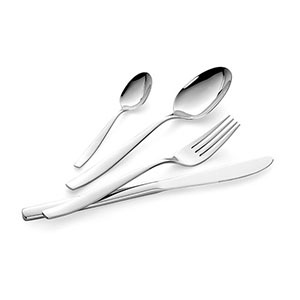 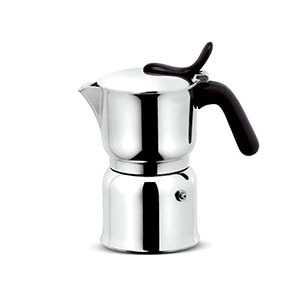 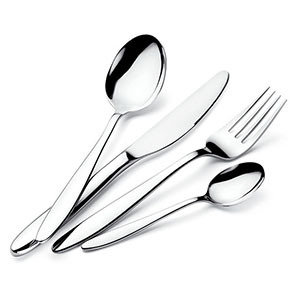 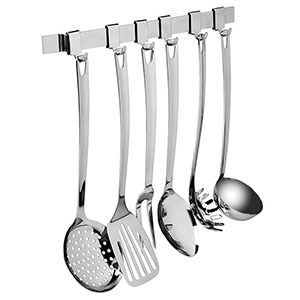 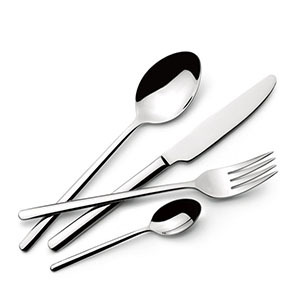 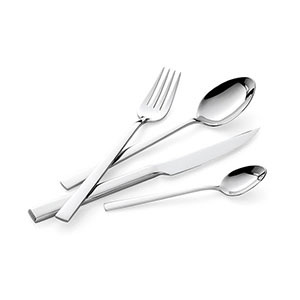 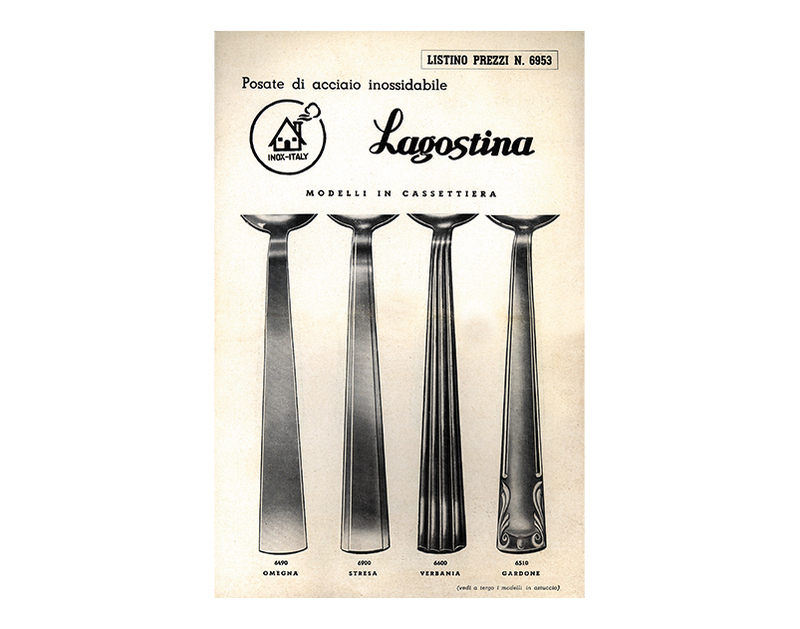 Massimo Lagostina, Emilio's nephew, is credited with the introducing stainless steel to the company. 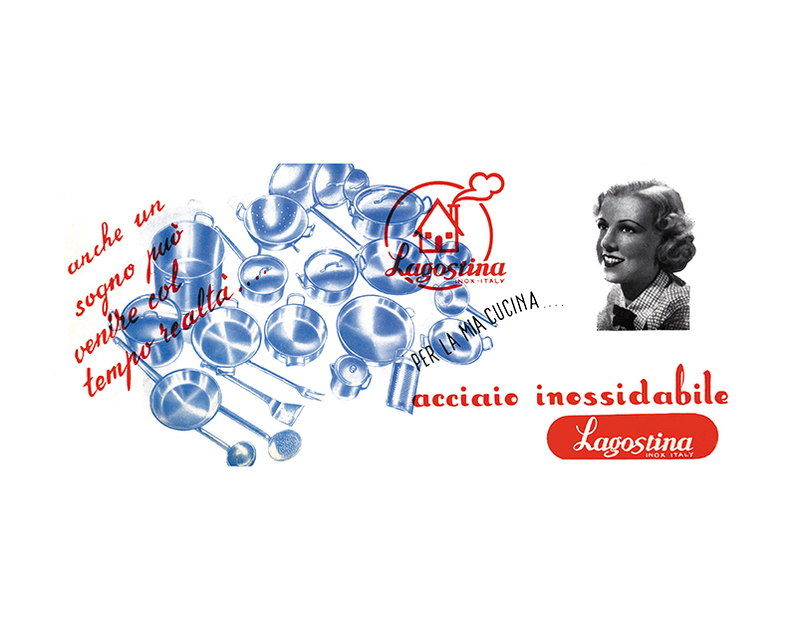 He joined the company at 21 and immediately understood the enormous potential of this new material: pure, beautiful, hygienic, shiny, resistant to corrosion and long-lasting. 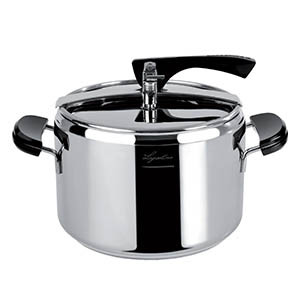 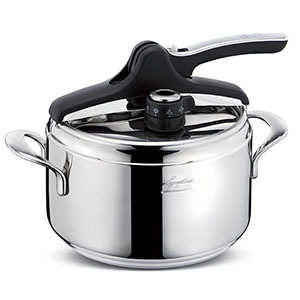 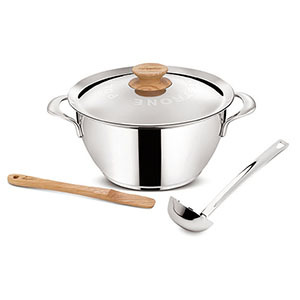 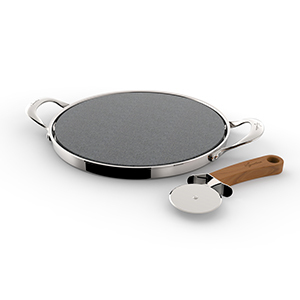 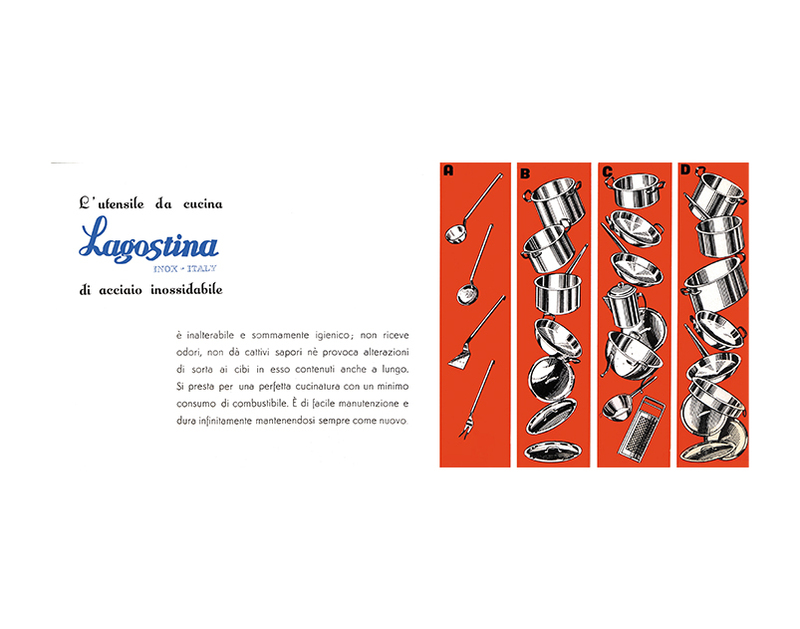 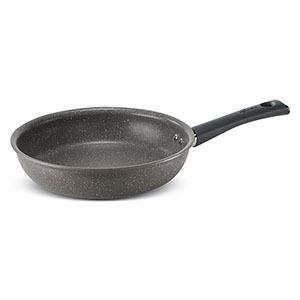 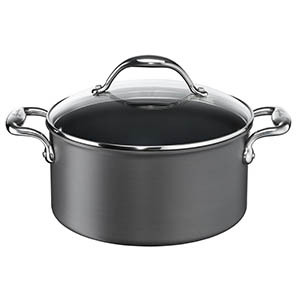 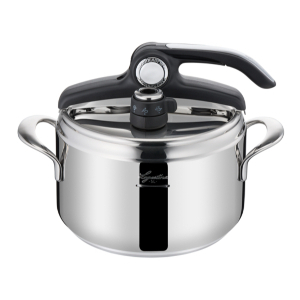 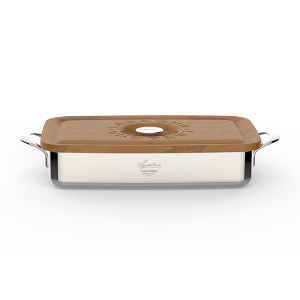 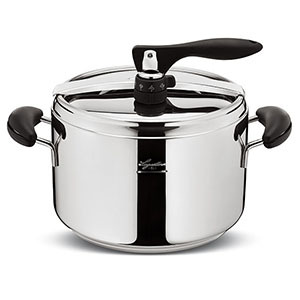 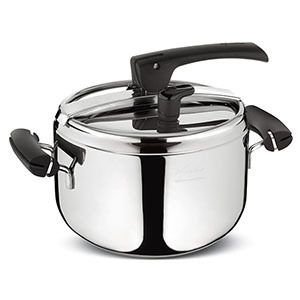 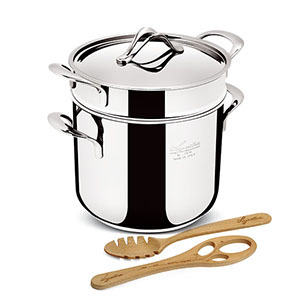 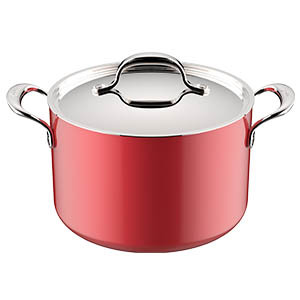 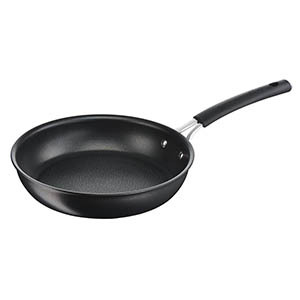 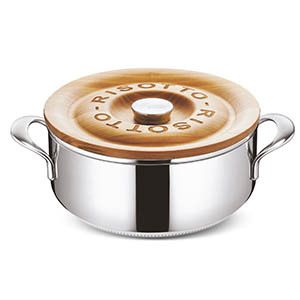 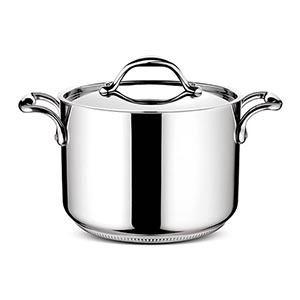 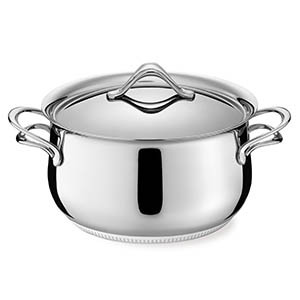 In 1933, after overcoming certain technical challenges connected to production, Lagostina was the first company in Italy and one of the very few in the world to stamp stainless steel cookware. 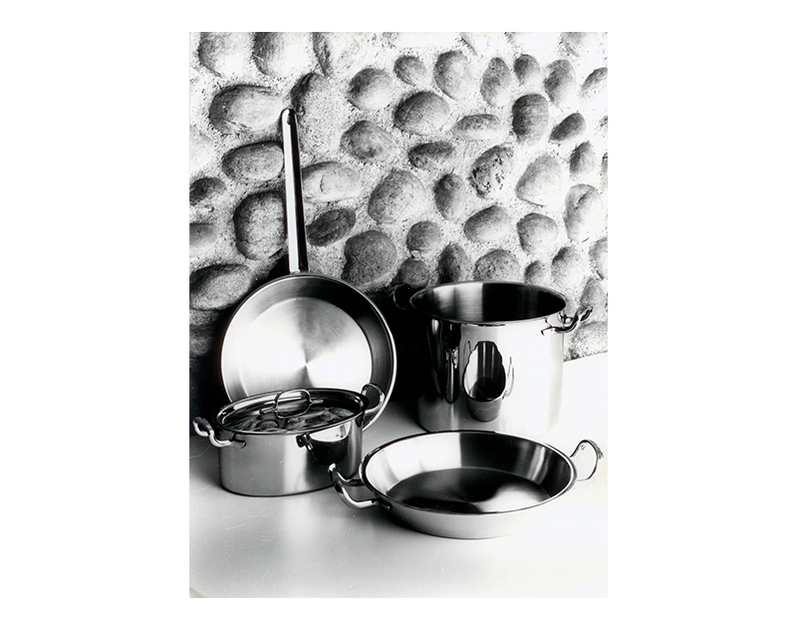 The “Casa Mia” cookware collection was launched in 1934 and is still on display at New York's Museum of Modern Art. 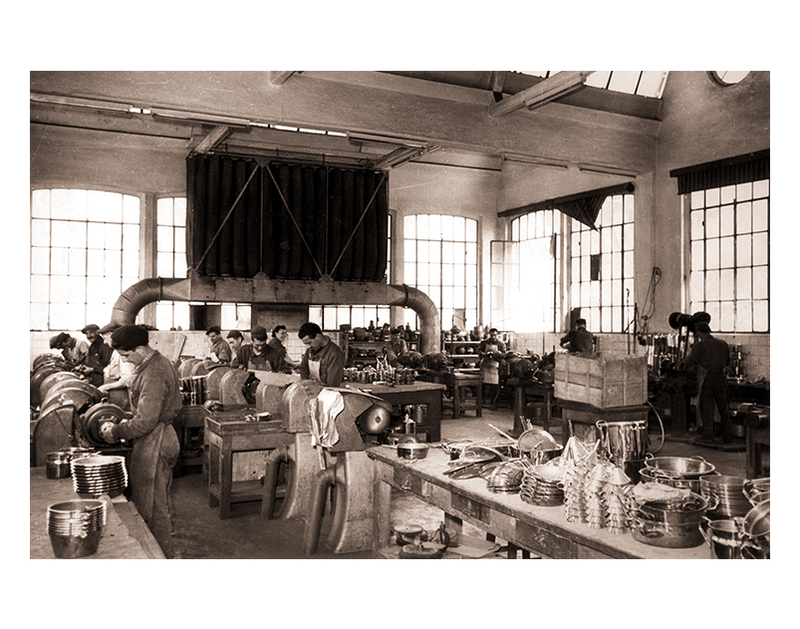 Italy was at war again and the factory converted to produce war material. 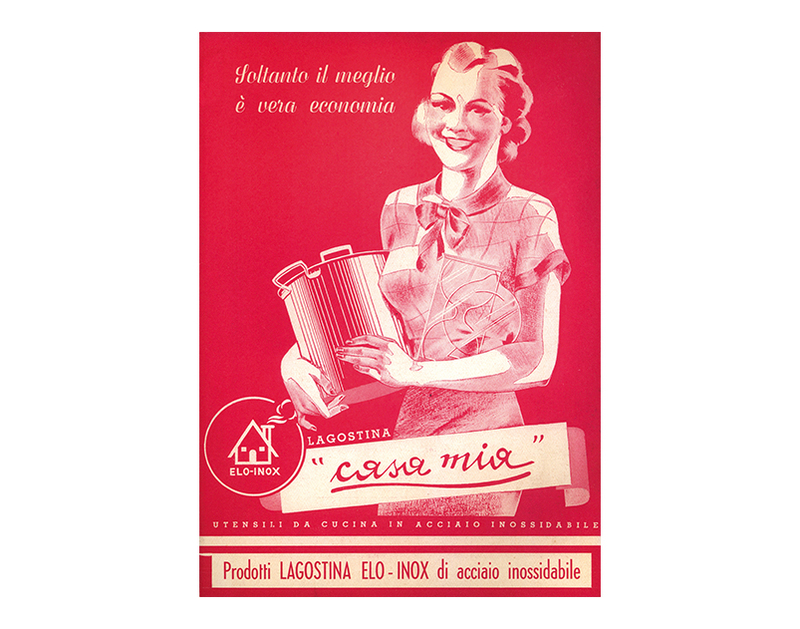 In 1948 - upon Emilio's death - his wife Adele was appointed Chairperson. 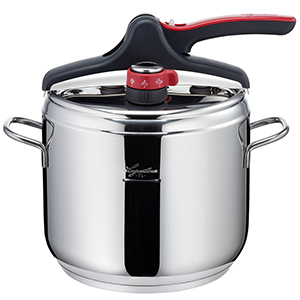 A woman - a rarity at the time - was at the helm of a company that continued to grow, this time being propelled by the production of stainless steel items. 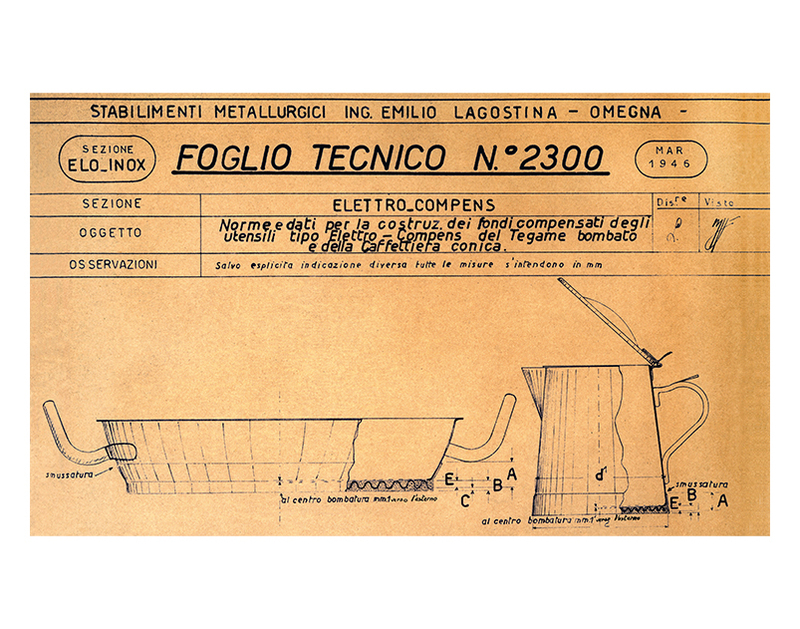 Technical drawing no.2300 of March 1946, showing the rounded saucepan and conical coffee pot with compensated base from the Elettro-Compens range. 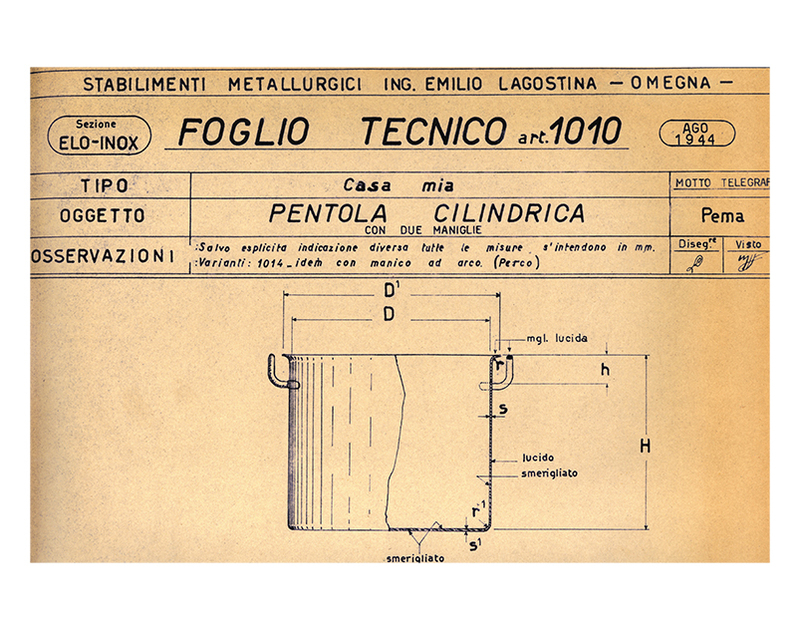 Technical drawing from August 1944 showing the two-handled cylindrical pot from the Casa Mia range. 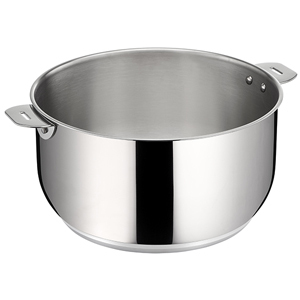 Elettro-Kompens, 1938. 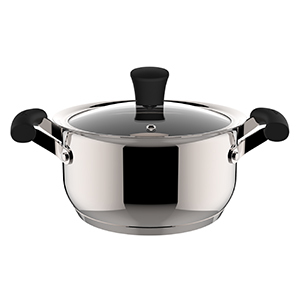 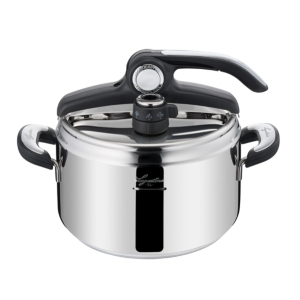 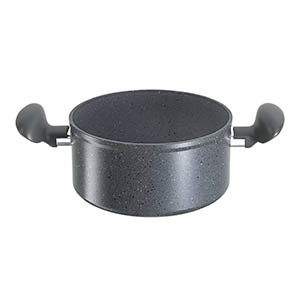 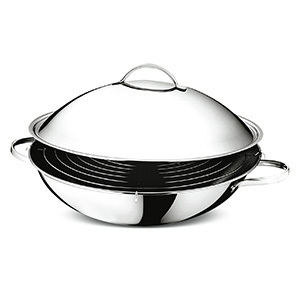 One of the first stainless steel casseroles with compensated base (stainless steel+aluminium), heat-conductive and does not deform. 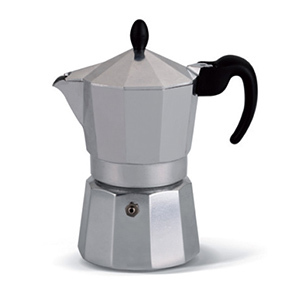 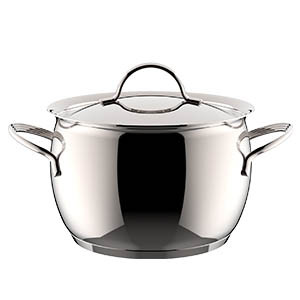 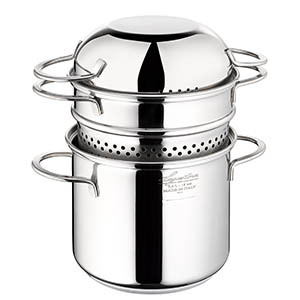 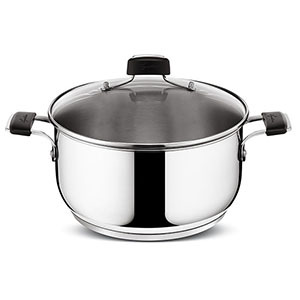 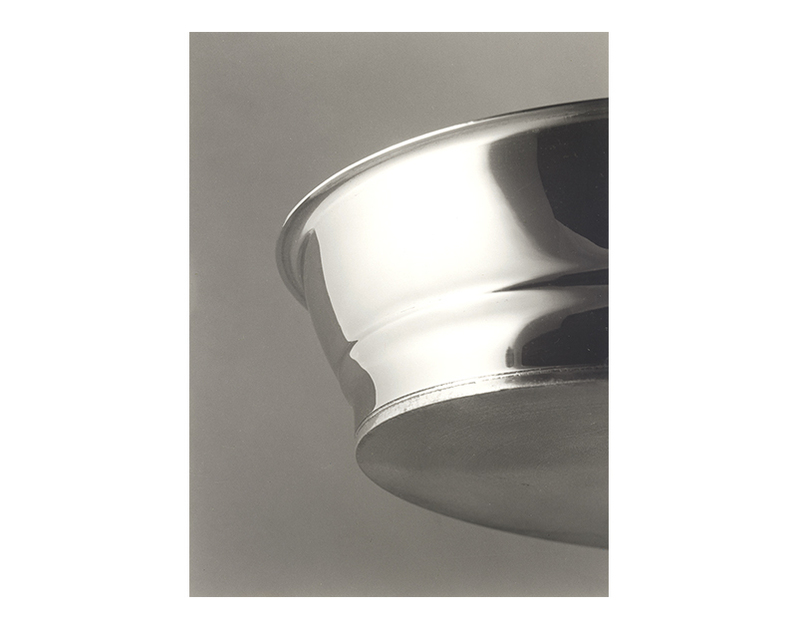 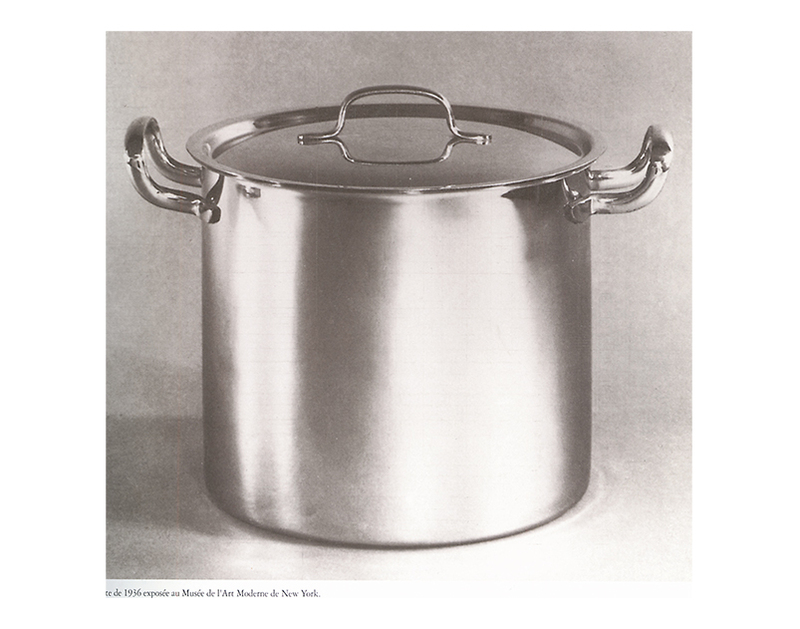 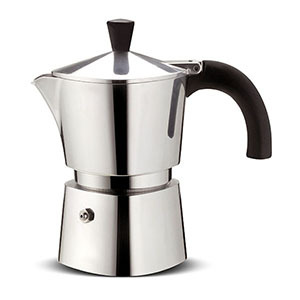 22cm Casa Mia saucepan displayed at New York's Museum of Modern Art since 1955, by Massimo and Adriano Lagostina.